You can access our online store using this link, log in by clicking the icon of the person in the top right hand side of the web page. 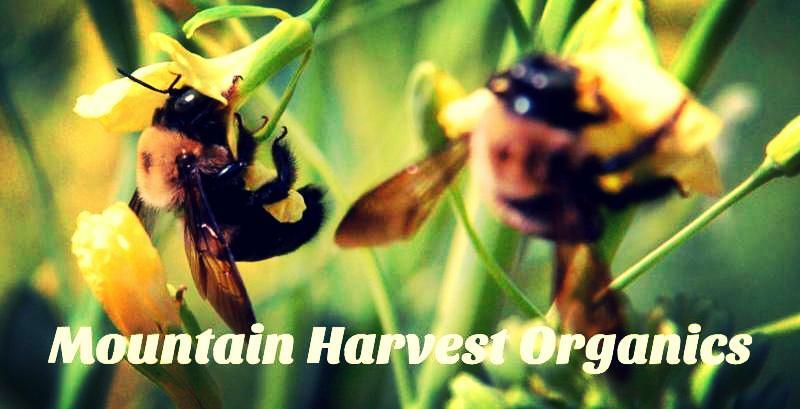 All orders need to be placed by Thursday at 8 AM so that we will know what to harvest for your share! Please return your boxes because we re-use them. Our barn apartment hasn’t been booked much so we’re trying to figure out a new marketing scheme for it. We’ve only been advertising this accommodation on Airbnb, but are going to list it on VRBO to see if we can increase the occupancy rate. We are offering sweet corn this week, but are having to ration it, because when this crop was seeded we hadn’t planned on selling through the CSA. We only planted enough for us, which is around 60 ears. Does 60 ears seem like a lot for a couple of farmers? It may be difficult to believe, but we can eat that MANY while they are in season. Fresh sweet corn is completely different than corn purchased in the grocery and since we eat seasonally and have become “corn snobs”, we only eat corn in the summer. The next couple of successions should yield more and hopefully we will have extra available in the online store. 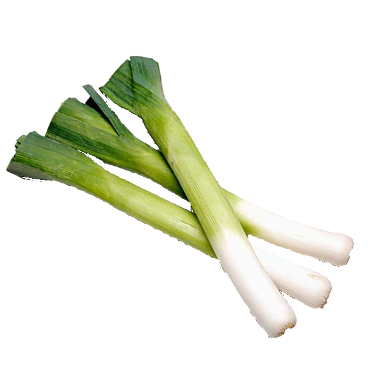 LEEKS ARE HERE!!! This amazing vegetable has a mild onion taste so it works well braised, roasted, in soups, quiches and tarts;. Many recipes suggest to discard the green tops, but we mince them, and saute them because they are delicious! Bon appetit suggests these 27 different recipes so be sure to stock up with these while they are in season and see how many different ways you can cook these. These onions are not cured, and are seasonal, so enjoy them while they last!!!! FINALLY POTATOES!!! We planted these a little later than in previous seasons because we were diligently working on our accommodations early in the year. Potatoes are one of our favorite storage crops, that we probably eat too much of, because we eat these nearly every day throughout the year. These rose red skin wraps around deep yellow flesh is always one of our favorites, maybe because the are the first harvested. They are fabulous boiled or steamed and tossed with butter, salt, and parsley, these will melt in your mouth. They make gorgeous fries (we don’t peel the potatoes) and baked potato chips. So tasty for roasting, for baked wedges and German potato salad! When roasting, we love mixing this potato with German Butterball and Adirondack Red for the color combination as well as for variations of flavor and textures. While we scrub our potatoes, and cut the spots out, we nearly always leave the skins on. You like us are eating both zucchini and yellow squash nearly every week during our summer season. 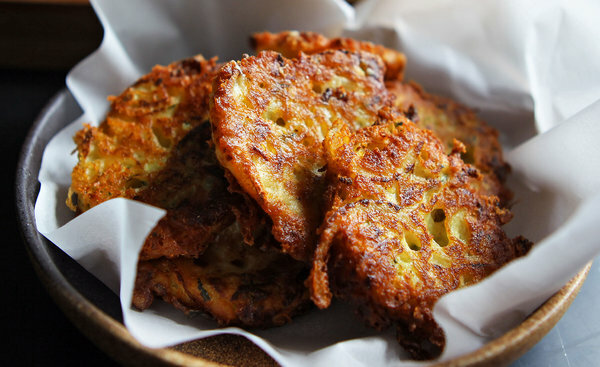 The NY Times suggests this squash fritter recipe that is perfect for us living in beer city because this recipe uses beer instead of milk for those avoiding dairy. If you’re vegan, be sure to substitute for the eggs and cheese, because these are delicious and will use up that summer squash. Lettuce: Romaine is a great summer green because this lettuce is packed full of vitamins! We are pretty much grilling all of our meals right now and this lettuce is perfectly suited for the grill. Sweet Corn: Only 3 ears per share!!! 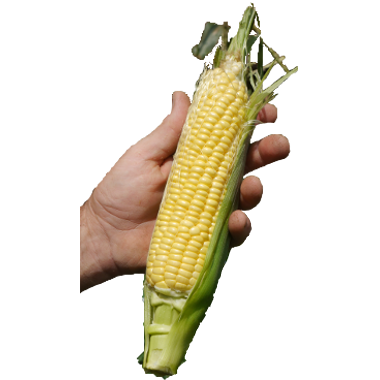 This corn is sweet, and you will probably need to cut out the corn ear-worm, so discard outside for the birds!!! Onions: Red Long of Tropea are especially great grilled! These heirlooms are a delicacy, and aren’t cured so enjoy them over the next several weeks while they are freshly harvested. Tomatoes: Cherry Tomatoes. The cherry tomatoes are bite sized have a spectacular flavor. Italian Sweet Peppers: The sweetest peppers we grow! Fresh Italian Sausage: These are a very popular pork product, because not only are they tasty, but they can easily accompany almost any dinner. Spices: salt, fennel and paprika. We had the best time this past weekend with a visit from Townes, who is incredibly inspiring to us. He is the founder of Lenny Boy brewery in Charlotte, who was voted among the “Best Entrepreneurs” in the southeast under 40!!! As many of you know, we don’t get away from the farm often, because we have livestock and greenhouses that need 24×7 care. So we are extremely appreciative when our friends take time out of their schedule to visit us. The same night Townes arrived, we had some guests check-in from China, who inquired about purchasing a farm fresh meal cooked by the farmers. 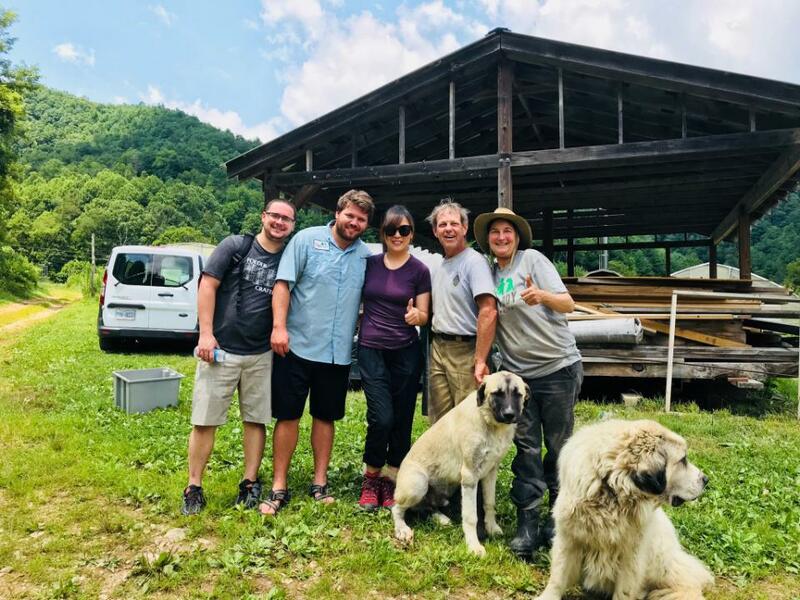 When they booked, we told them that we had a friend vising so we couldn’t possibly make them a farm fresh meal, but that we’d stock their refrigerator with farm fresh goodness. However, when they arrived, they didn’t know how to grill and weren’t too familiar with working the stove in the camper. Needless to say, we invited them down to the barn for a farm fresh meal of grilled eggplant, squash, sausage. 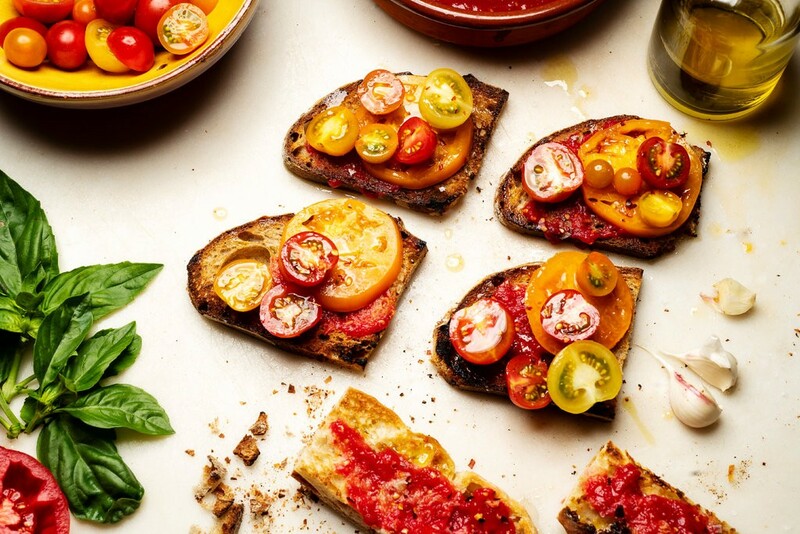 In addition, snacks of salsa and bruechetta. So, thanks Annie’s Bakery for the delicious bread that we shared with our guests!!! While our neighbor Dave, who is an international award winning brewer, met Townes while fetching his CSA Share. So he and Betty joined us for a night of fun with home brews and discussions about brewing, life in China, and farm fresh goodness. The point is, when 2 brewers get together, there is no other thing in the world that is exciting outside of brewing. Needless to say, we are considering becoming the farmer for Lenny Boy’s Brewing Company!!! We will keep you informed as this exciting relationship continues. Above are us with our guests, Amy and Jane, who are from Shanghai China. They mostly enjoyed meeting Townes and Dave because of their love for craft beer. 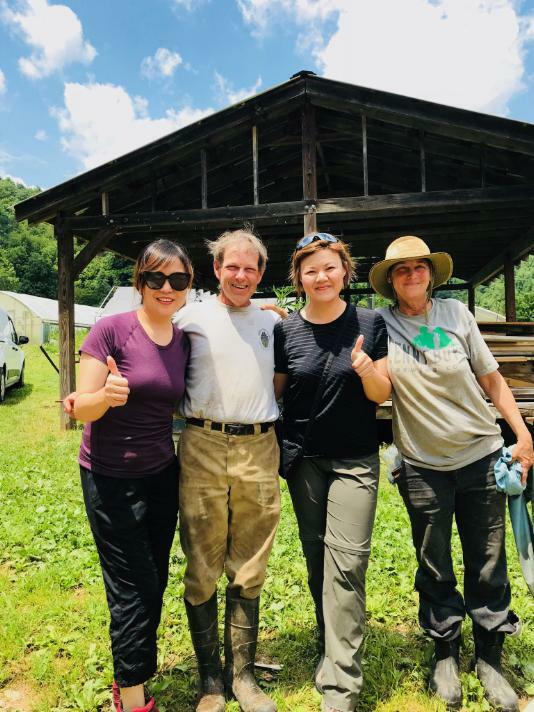 However, they very much enjoyed learning about a small organic farm, and it was fun, during their tour they sampled almost everything growing. They were very impressed with our farm to table dinner, and the following morning enjoyed a farm to table breakfast. We enjoyed spending a good bit of time with these guests and it was interesting to learn that even though we are “Cash Poor” and our banks won’t loan money on farmland, our guests explained that in China, someone can’t purchase farmland and has to be born into farming. That made us think about all the young people who are changing the face of farming in our country, making healthier food more readily available, and helping to curb climate change through a local food system. So we’re thankful that young people are able to purchase land so that changes in our food system are slowly happening.